I was the youngest in a large extended Greek Australian family of very dramatic people. I had to work hard from a young age to get attention- so I guess I was a performer from the get go. I always wanted to be an artist, but more like a painter or fine artist. In my twenties, I naturally gravitated towards performance. I went out a lot and partied a lot and would wear very flamboyant outfits-which was basically performing- I was just too social and hyperactive at this stage of my life to be a painter. I also had very large breasts and felt that in many ways no matter what I did, my breasts were usually the thing which influenced people's judgments of me such as my intelligence or my competency in the work force. So I became interested in exploring the associations and stereotypes, which surround having this kind of female body. So I was heading in a performance art, gender studies direction, yet I deeply wanted to make performances which had a wider appeal and weren't just limited to galleries. So in 2000, I started the art and music group, Team Plastique with my ex-boyfriend and some friends from my hometown, Brisbane, Australia. Team Plastique was performance art within a music/club context and we played together for ten years performing all over Europe and Australia and in 2004 we relocated to Europe. Now I am working as a solo performer. So yes, I feel that in many ways, performance chose me - I was always focusing on fine art- yet performing came along very naturally to me. My work really focuses on breaking down barriers and appropriate behavior in the social and art space. I am very interested in the human condition and how many adults are actually kind of crazy or sad or anxious, but hide these feelings behind an appropriate adult veneer and many people never properly reveal themselves. I am interested in creating contexts which allow the audience to loosen up and possibly also get spontaneously involved, but not in a touchy feely, relational aesthetics sense, more in an open ended, uncontrolled way which might be either negative or positive. For this reason, I am quite flexible with my performances - I like to have an idea about what I am going to do, but then be open to changing course, so I am never really that well rehearsed or choreographed. I am interested in being in the moment, giving something real and changeable - the audience can see that and I think its the best thing I can give them as so much performance can be over-practiced and choreographed and lacking spirit. This means my work is often imperfect. I like that. I am a perfectionist in many ways and for me it is a kind of therapy to be able to be spontaneous and improvised in performances. I also feel uncomfortable making work that appears to be very serious and pretentious- I guess this connects to my background- generally Australian culture is quite relaxed and egalitarian and doesn't like anything that's too high brow. I also am very aware of the low attention span many people have these days with smart phones etc. I kind of like how in the music industry when you are playing in a band for instance, people just walk away if they're not into it or maybe throw something at you onstage. I feel that a lot of performance art has this holy reverence surrounding it and I like to break this down. So yes, basically if an idea seems to be an interesting experiment to try out with the public or in an art gallery or if it’s a performance I would love to see myself, I feel that I am on the right track. 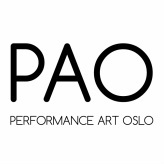 For instance, I am very excited about performing in a public toilet for Kulturnatt Oslo with PAO. I think its funny and I am happy that its really crossing high art with sleaze and bad taste, but in doing so I hope to be commenting on the society and culture of Northern Europe- how discrimination and social control can be quietly and efficiently executed in order to exclude undesirable people or behavior in society. I feel that often my work appears to be very light and funny at first, but upon a deeper reading contains much deeper, critical elements. I guess lightness, humor and a kind of bimbo guise is just the hook. I am creating a performance project involving music, performance and installation. It is all connected with a concept album that I am creating called "The Night of a 1000 Haircuts” which deals with imperfection and femininity. I aim to perform the songs both in clubs and music venues as well as in galleries or art contexts. So yes, I can do a club show or experiment with performance in an art context, like with "Public Toilet Show" for Kulturnatt Oslo where I will be singing "Quadratisch, Praktisch, Gut" in one of the ultra modern, blue neon cube public toilets downtown, which in many ways kind of embody Scandinavian refinement, yet excess. I want to look like perhaps I could be a prostitute from the outside and I just don't have a credit card to get into the toilet. I think it is amazing that you can only pay the 5 Kroner toilet charge by Visa or Mastercard- what a clever way to exclude unwanted people and monitor public behavior. I am interested who will pay to let everyone go in- will people be worried that their credit card details and name might be recorded and connected with a show which appears like it could be pushing the legal boundaries of anti-prostitution legislation in Norway. Inside I will just sing my song "Quadratisch, Praktisch, Gut" which is about German culture and the desire for practicality and functionality as embodied by the slogan for the most popular German chocolate Ritter Sport which is "Quadratisch, Praktisch, Gut" or "Square, Practical, Good". The song is about my problems with the lack of romance in German culture, but I will to link it with Norway- the public toilets represent all that is square, efficient and practical about Norway, but is this actually "good". I am actually a teacher and have been working as one for a very long time. I feel that teaching is great practice for performance- it is all about maintaining attention, learning to read the class (what kind of students are they, what do they want, what do they need, are they interested?) and having to be quick and flexible to adjust to the group so they stay interested. I also draw a lot and aim to incorporate these drawings into my visuals with "The Night of a 1000 Haircuts". My drawing is similar to my performance in that it is quickly executed and instinctive, and of course I would love to make these into paintings one day. I make installation work too and once again imperfection and spontaneity are driving factors. I guess with my work, I want to create a mood with the audience and it always has a sense of immediacy and temporality. Music and dance are driving factors. I never considered myself musical, nor did I ever study dance. Its embarrassing to say, but I got involved in music because my ex-boyfriend was a musician and was having trouble getting gigs and I came up with this great idea that if we formed Team Plastique and wore the costumes onstage that we wore to clubs and parties we would get a lot of shows. It started out as a bit of a joke, but yeah, we got a lot of shows. So yes, I must admit my technical prowess is mostly self-taught. But now I write my own music finally, which I love, not being dependent on somebody else to get my musical ideas out there. I do have a degree in Art History though and a Masters in Art in Context from the Berlin University of the Arts, which was a degree that combined theory and practice, so my work does nevertheless have a strong underpinning of art history and a critical view of the art, music industries as well as popular culture. I am also very influenced as well by DIY and Queer Aesthetics as personified by artists like Chicks on Speed and of course the punk movement. I like to just go with whatever is there, whatever people are there and whatever the staging is like and adjust my show to fit with these factors. I quite enjoy this challenge. I do like smaller venues though, there's something more intimate and genuine about that. As for involving the public, it just happens organically as part of the show- like me asking somebody to pay to get into the public toilet. But then, my favorite interactions are the ones that are completely unplanned, and I kind of always aim to create a mood that allows for this. I guess with imperfection everybody feels a little more relaxed. I am also currently interested in performing in smaller spaces, private spaces like toilets and kitchens, I feel with the rise of social media that privacy and intimacy is the new luxury, so yes, I want to work on this idea more.